As a pediatrician and a mother of two young kids, I know the importance of providing a balanced diet to children. Lots of veggies and fruits are important for our children, yet some weeks we are lucky if our kids eat one carrot stick. It can feel so frustrating because as much as we can encourage them to exercise by signing up them up for sports or taking them to the park, it feels like we have less control over what our children eat. As parents or caregivers, the best we can do is set the stage, stay calm, and keep trying. Here are some tips I’ve tried. Are they successful all of the time? No. But calm consistency with children is the key to helping them learn and try new things. Always have veggies on the plate: Just put them there, no comments, no fuss. Your kids should know a meal includes vegetables. Don’t panic if they don’t touch them: Don’t make a fuss and don’t draw attention to it. Toddlers in particular will think it is funny if you react to them not eating veggies. If they ate 10 carrots yesterday, but today they don’t like them…just stay calm, maybe they will try them tomorrow. Don’t be afraid of dips and condiments: I’m all for veggies covered in cheese, ketchup or dip. If it will get your kid to eat them, it is totally worth it! Roasting veggies in the oven with oil and salt so they become “chip-like” can work well too. Involve your children in food prep: Taking them to the store or a farmer’s market is a good way to give them some autonomy over what fruits and veggies they are going to eat. Helping in the kitchen will also encourage them to try new things. Avoid the snack-a-thon: Frequent snacking has become a major problem these days, especially among older kids who do not need to be eating every hour. 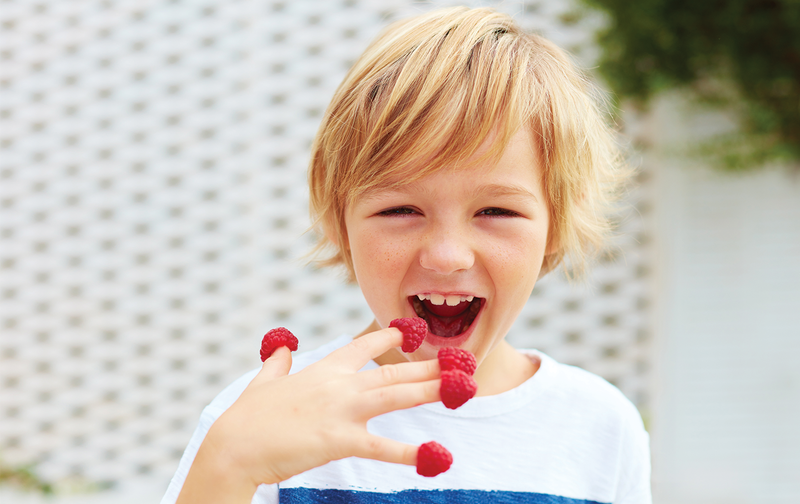 If your child snacks all day, or if they eat a large afterschool snack, they likely won’t feel true hunger for dinner. Skip the snack and have an earlier, more healthful dinner instead. Don’t Use Food as a Reward: Food should never be used as a reward or punishment for behavior. Food is just fuel for your body. Using food as a reward can confuse children about healthful eating, especially if you’re using food that is usually “off-limits”. Serving foods like chips and soda as a reward can also lead to children overeating “treats” as opposed to more nutritious options. Instead, use fun activities or a small toy as a reward and focus on serving mostly healthy, nutritious food to your kids. While picky eating is on the range of normal kid behavior, there are some medical conditions that can manifest as picky eating, so be sure to speak to your health care provider if you have any concerns. Similarly, if you want to talk to somebody about strategies to get your picky eater trying more foods, you can also make an appointment with a Westmed pediatrician or speak to your child’s doctor at your next well-visit.